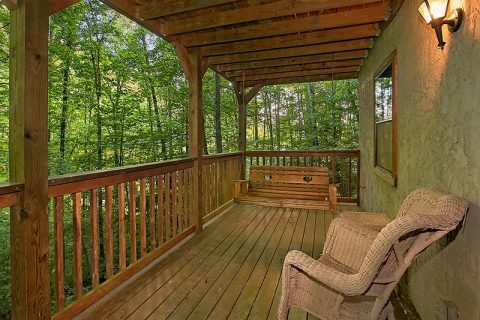 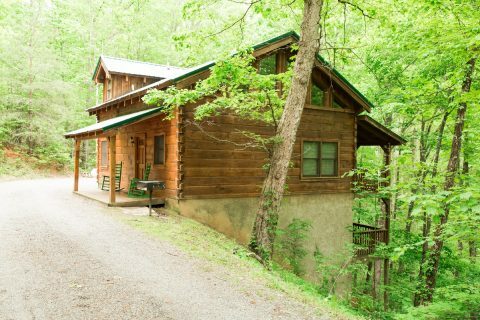 "Hunting Hollow Haven," a private Glades cabin rental, rests between the Glades Arts and Crafts Community in Gatlinburg and Dollywood in Pigeon Forge. 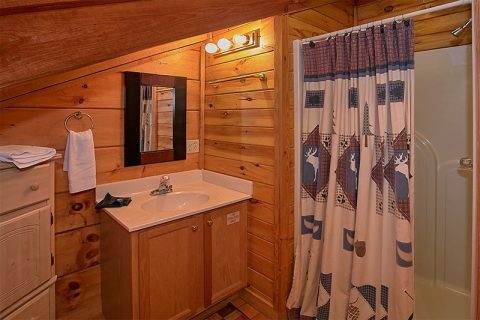 Your Glades cabin provides all the comfortable amenities you'll need for a relaxing cabin stay. 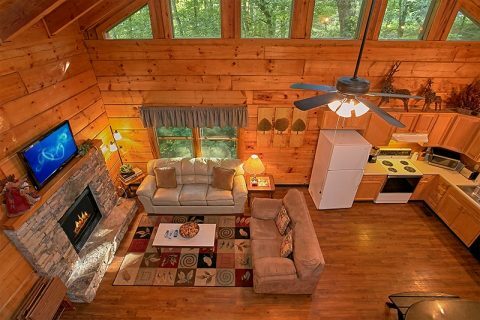 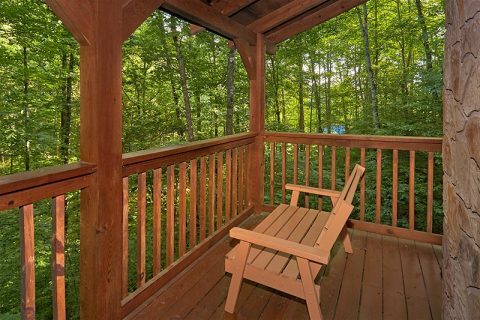 This Glades cabin rental features 3-bedrooms and room for up to 8 guests. 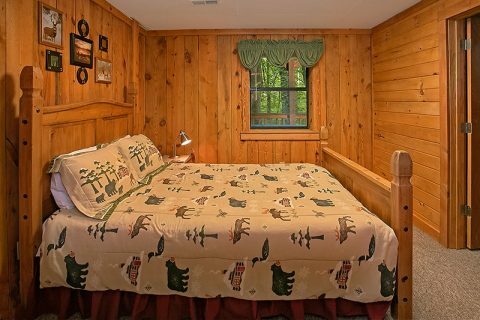 Altogether, this rental offers guests 2 private king bedrooms, a queen bedroom, and a sleeper sofa. 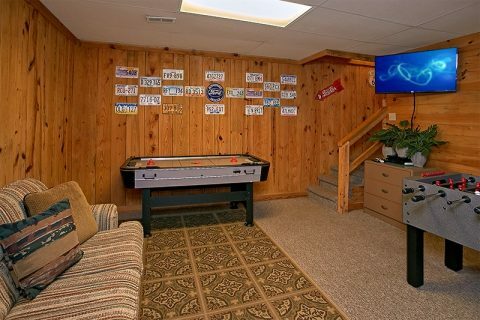 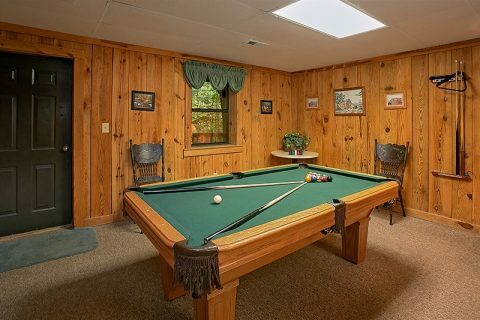 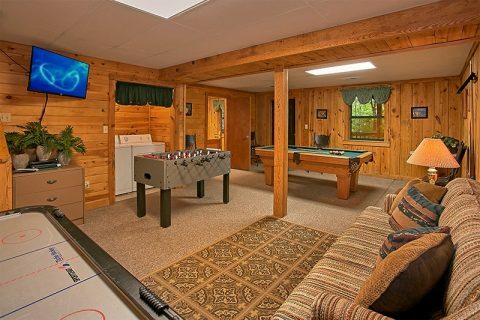 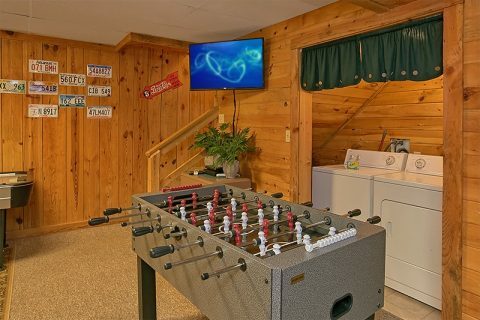 Family and friends will love the cabin game room with pool table, foosball table, air hockey, poker and board games for delightful in-cabin entertainment. 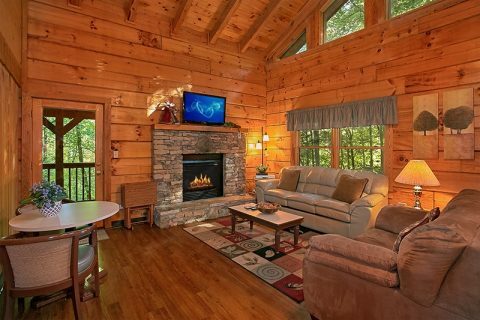 Watch satellite television in the living room with a fireplace, perfect for those fall football games! 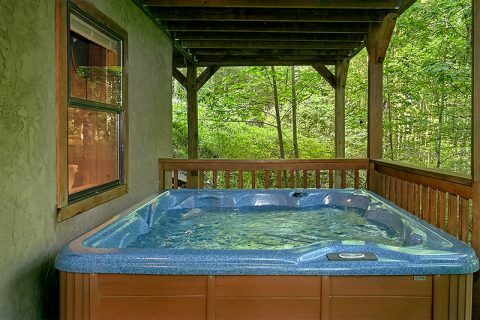 The private hot tub and porch swing offer real bonuses for quiet evenings under the moonlit sky. 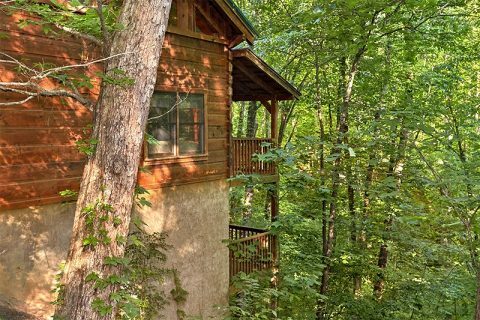 The Glades Arts and Crafts Community Gatlinburg, TN remains a true gem of the Smokies. 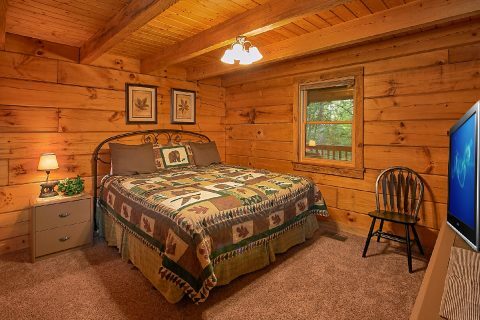 Whether looking for a special Smoky Mountains keepsake to take home, browsing for decorating ideas or enjoying a good meal at one of the local eateries, the stores near your Glades cabin rental, you're bound to love staying in this unique part of the Smokies. 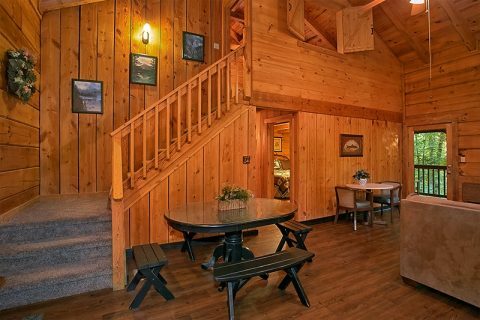 With all the fun to be had in and around your Glades cabin rental, the group is sure to get hungry. 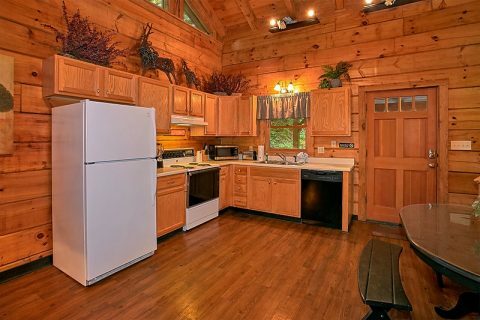 From snacks to home cooked meals, the charcoal grill and fully equipped kitchen allow you to prepare meals whenever you'd like them. 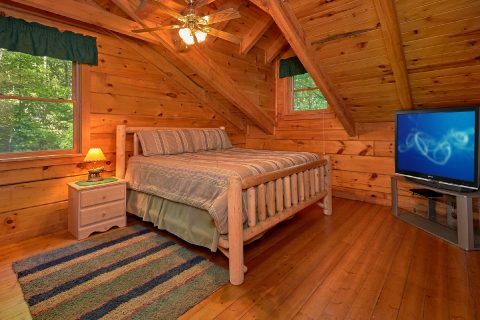 When it's time to turn in for the night, your Glades cabin rental comfortably sleeps 8. 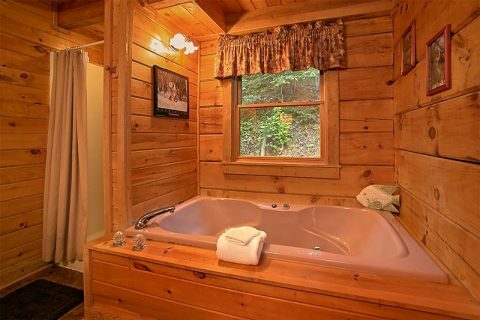 The main level master suite boasts a king-size bed, television, and full bath with jacuzzi tub. 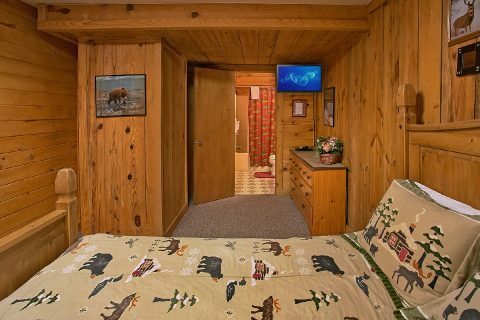 Upstairs, there's another king bedroom and a futon for additional sleeping space, while a queen bed in the game room offers space for more guests to rest up for the next day of adventures. Ready to start your Smokies vacation? 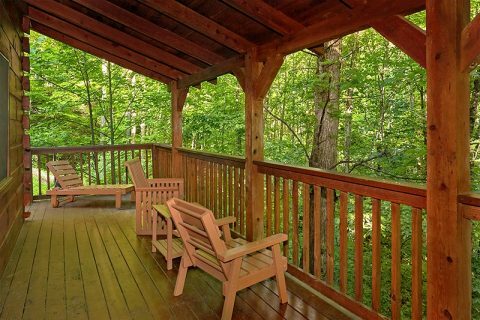 Book "Hunting Hollow Haven," your Glades Arts and Crafts Community cabin or another Glades cabin rental online with Cabins USA Gatlinburg and SAVE on your memories of a lifetime!